We find Kate Middleton extremely attractive, bright, and simply a perfect woman. She knows how to surprise people with some unexpected things or extraordinary occasions. One of her hidden passion is playing tennis. She annually attends Wimbledon and even was an official tournament patron earlier this year. 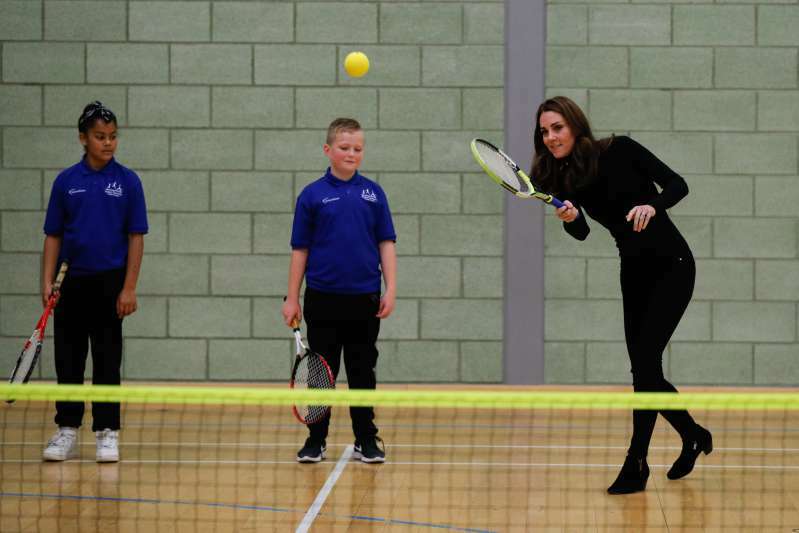 Kate and William paid a visit to Coach Core at the Basildon Sporting Village in Essex on Tuesday to get insight into the apprenticeship program. They both were welcomed with delight and hugs and had a great time interacting with people there. First, she stunned in skinny black jeans showing her perfect legs, turtleneck jumper, and heeled ankle boots. But then, everything has changed. She confidently picked up a racket and join tennis game with the youngsters. 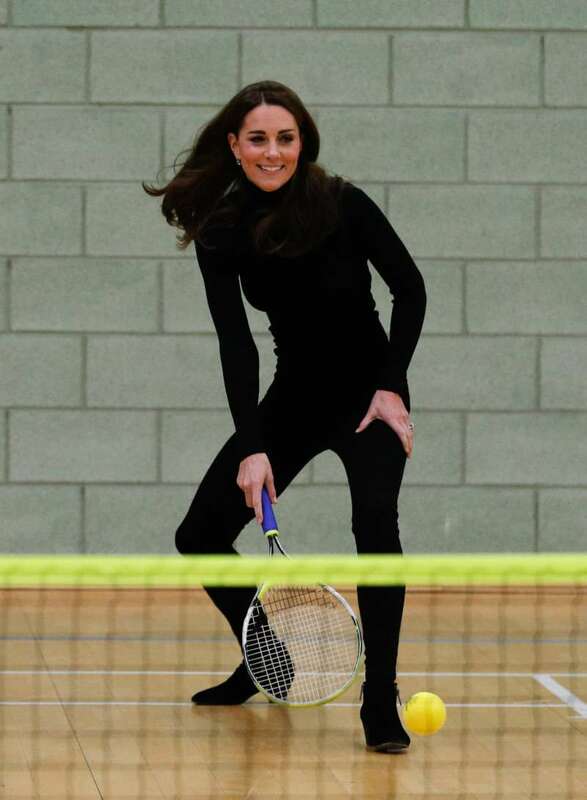 Kate is known as the sports lover, and even heels make her play as a pro. Well-well, Duchess, time to add a new nailed skill to your resume! Our jaws dropped after this tennis play as much as after finding out that people prefer putting milk before cereals. Well, that's a lame comparison, but the fact is the fact! 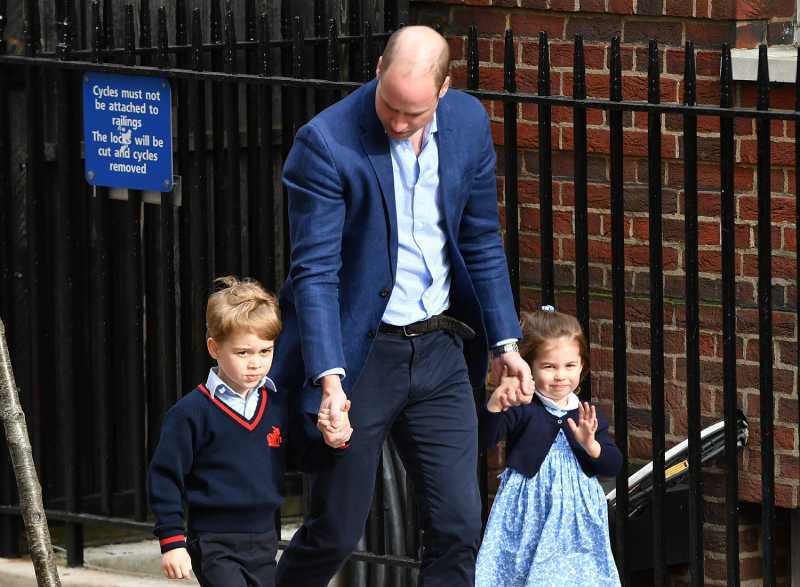 The Duke & Duchess of Cambridge conceded about teaching George and Charlotte play tennis. George is already into this sport and wants to 'whack a ball'. The royal couple's love for tennis is well-documented, and probably their kids will inherit this talent and passion. It's pretty awesome to pass love to sports activities to children step-by-step. 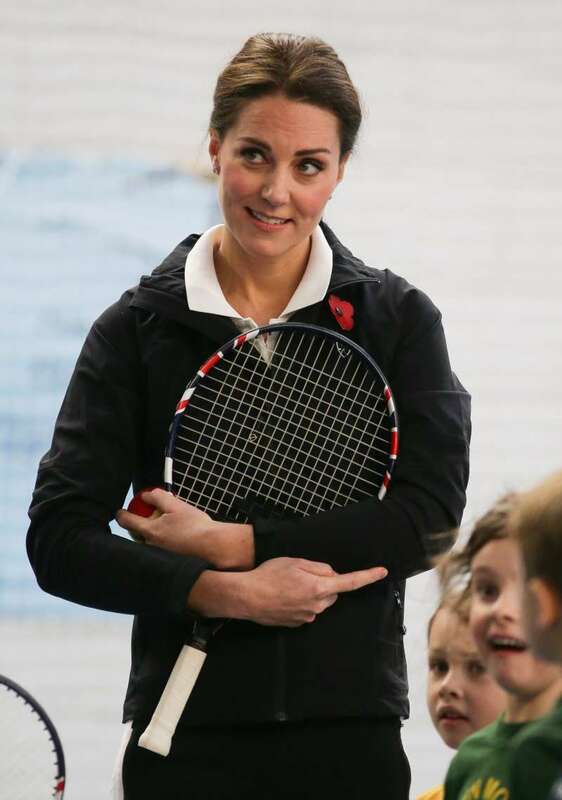 Kate constantly asks professional tennis players for any recommendations on how to train George and Charlotte more effectively. Who knows, maybe they'll become tennis pros and win Wimbledon in the nearest future? Well, Kate, you surely know how to impress the 8 billion population. Way to go, British superwoman!